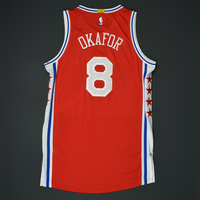 Okafor wore this jersey during the 76ers' 130-116 loss to the Orlando Magic on February 28, 2016 at Amway Center in Orlando, FL. 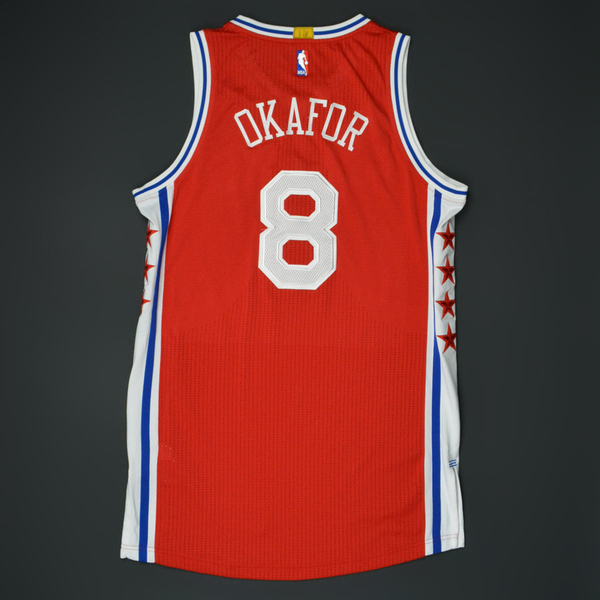 He played 28 minutes and registered 26 points with 3 assists and 3 rebounds. 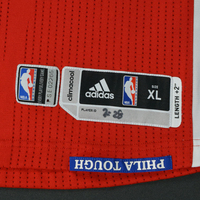 "2-28" has been handwritten on the jock tag. 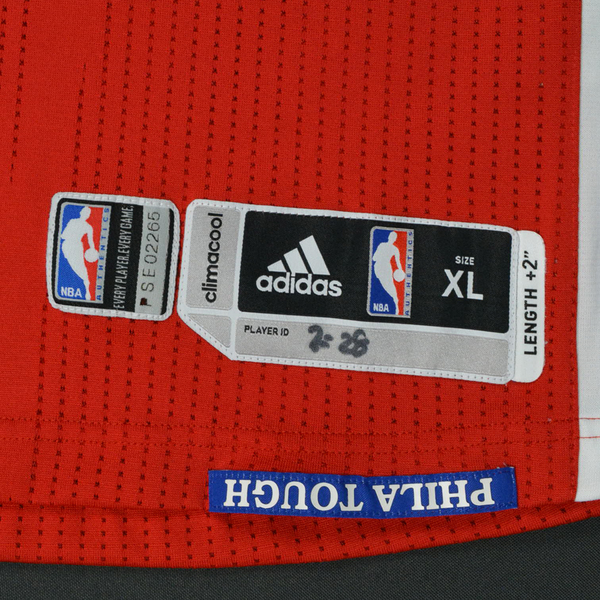 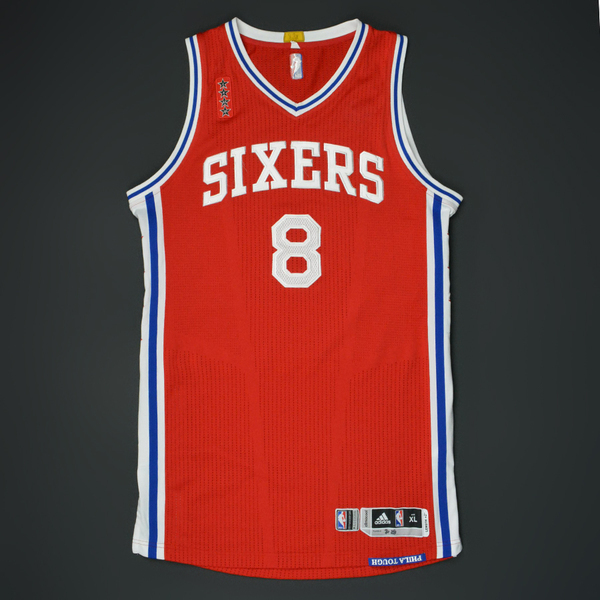 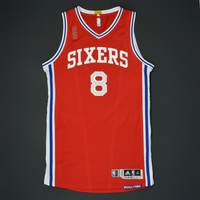 The jersey has a memorial patch on the right breast honoring 76ers' legends Darryl Dawkins, Moses Malone, Harvey Pollack and Dolph Schayes who all passed away in 2015.